Fiat is taking the already-outstanding 2016 Mazda Miata, adding some turbocharged Italian power and mixing in some tasty retro throwback looks for good measure. 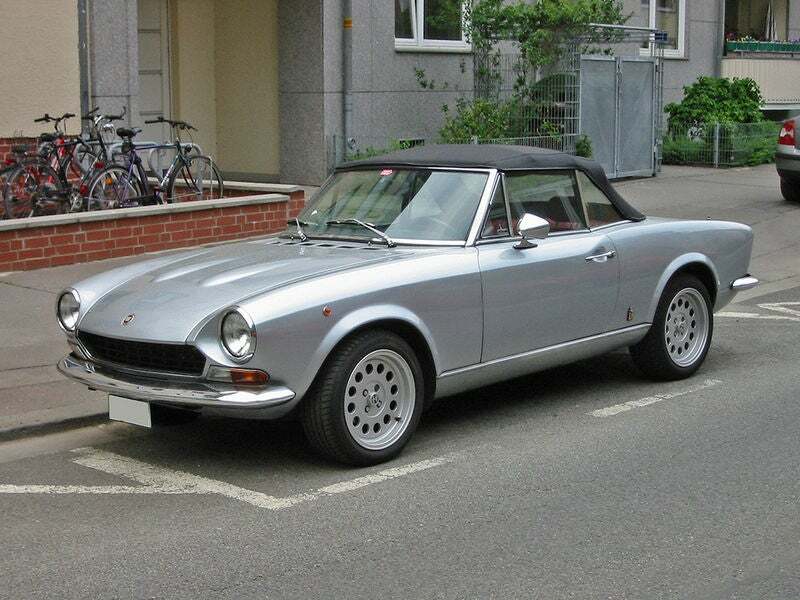 Everyone, meet the new Fiat 124 Spider. Ace spy photographer Brian Williams managed to capture several angles of the new Fiat roadster, including its decidedly Miata interior. But overall it looks good, even without us seeing all the details here. Check out that front end — definitely a salute to 124s of yore. More important is what’s under the hood. We’re anticipating Fiat’s 1.4-liter turbo four with around 180 horsepower for the base engine, and the 1.7-liter turbo four from the Alfa Romeo 4C with 240 HP on the upmodel, probably Abarth-badged version. Yeah, this thing should be a lot of fun. Can’t wait to see the whole thing.